Review of RelaxonChair MK-II Plus｜FDA Shiatsu Massage Chair | Homesthetics - Inspiring ideas for your home. 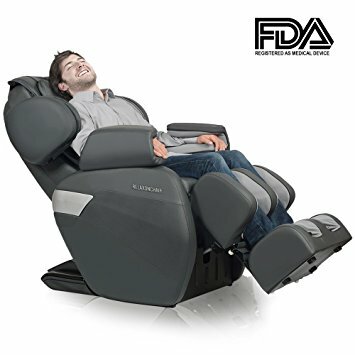 The RELAXONCHAIR MK-II PLUS Shiatsu Massage Chair is approved medically by the FDA and costs approximately $1,698.00 on Amazon. It costs more than one trip to the spa, but it is an affordable investment for the next few years. This massage chair is a version, upgraded than most massage chairs available in the market. The massage rollers installed in it are the perfect mixture of firm yet gentle, to provide maximum comfortable pressure. 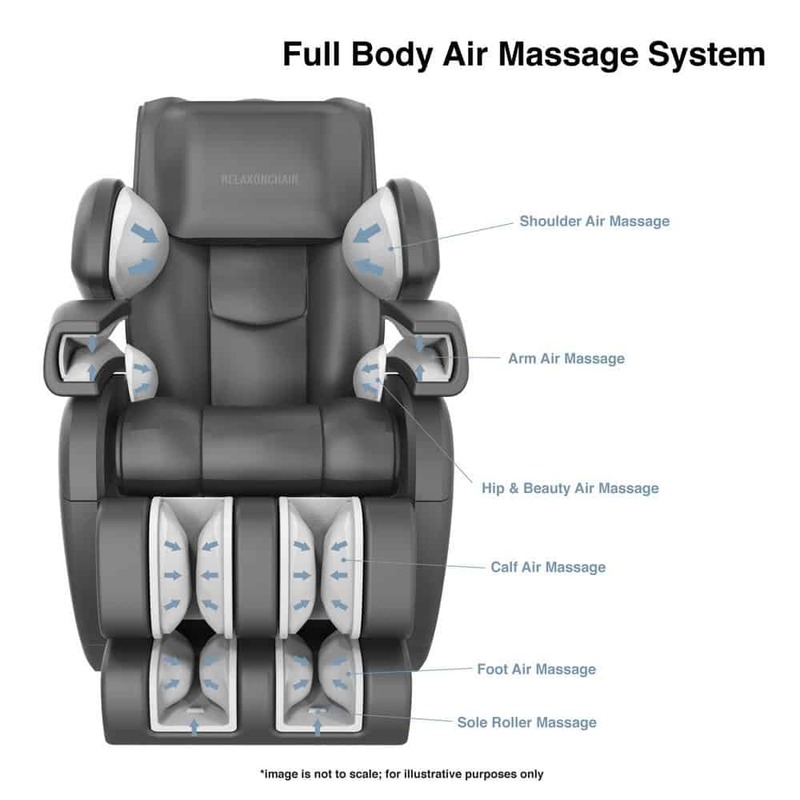 Your arms and calves will not feel stressed out after your massage session as the chair comes with reduced airbag pressure, especially for your forelimbs. The massage chair lets you choose anyone of the four automatic massage programs as per your requirements and desires. These programs give you a choice of five manual massages – kneading, tapping, kneading and tapping, Shiatsu, and rolling – targeted on specific muscles and bones of your body. You can set the pressure and intensity of the supporting airbags to three levels. The massage speed can be changed to any one of the three installed speeds. The three-stage automatic zero gravity functions in your chair can relieve the strain on your back. It helps elevate your feet to the level of your heart akin to a comfortable sleeping position, and relaxes your heart. It reduces the constant strain of gravity on your spine, experienced mostly when one is sitting upright or standing. The 180° flat bed position provides the best comfort and optimizes the blood flow in your body. You can experience a full body massage – manual rolling massage from your upper back to your glute muscles – thanks to the inbuilt Buttock L-Tracking Massage System. The chair has computerized body-scanning sensors that measure the length of your backbone automatically, providing a massage setting suitable to your spine. The airbags are designed particularly to inflate and deflate separately, resting your body in the most comfortable massage position possible. The chair has the familiar and detailed comfort of a human masseuse. It provides a full body stretching function under the “spinal decompression” program. It assists in stretching your body, limbs and back muscles slowly by a calculated movement. The “compression massage” aligns your lower back and pelvic muscles by inflating the multiple airbags under your hip and waist. 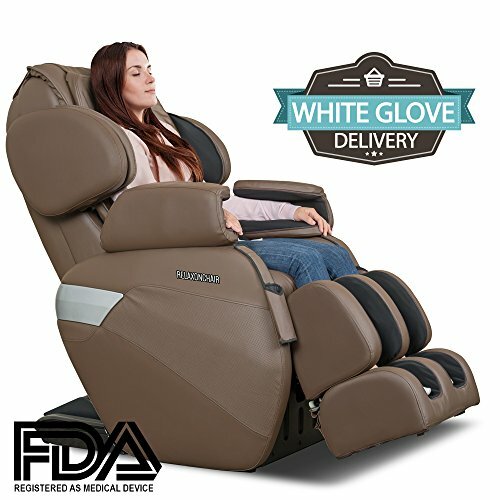 The massage chair also provides multiple airbags, programmed to massage your forearms, shoulders, hips, waist, thighs and calves with the technique of acupressure. The foot rollers located under your soles help relieve the residual tension from your feet. The soft-grained synthetic leather used for the chair is of the best quality, used with the intention of providing maximum comfort. Combine a deep tissue massage with soothing heat radiation for extra relief. The two heating pads located in the lumbar area relieve the tension from poor posture and constant movement. The chair comes with wheels and its net weight is quite less, so you will not need another pair of hands just to relocate it around the house. The chair weighs 183 pounds, although, the shipping weight may vary up to 232 pounds. This product has been developed with the intention to provide a user-friendly experience to the customers. The MK-II PLUS models have been redesigned from their previous models to include a remote that can be operated easily, with a swipe of the thumb of just one hand. It also comes with a large viewing screen that gives a visual representation of your favorite massage programs. The chair is available in charcoal and chocolate colors. While you might not be able to tell your pressure and massage requirements to your masseuse freely, you can control the massage programs and its speed. From a variety of five manual specific massage techniques and three adjustable speeds, you can pick a combination according to your comfort and relax. he vigorously moving air cells from the inflatable airbags pin your body in place, while the massage chair gradually stretches out your leg and back muscles to a calculated speed. This reduces the chance of unwarranted sudden jerks and unneeded pressure conditions. 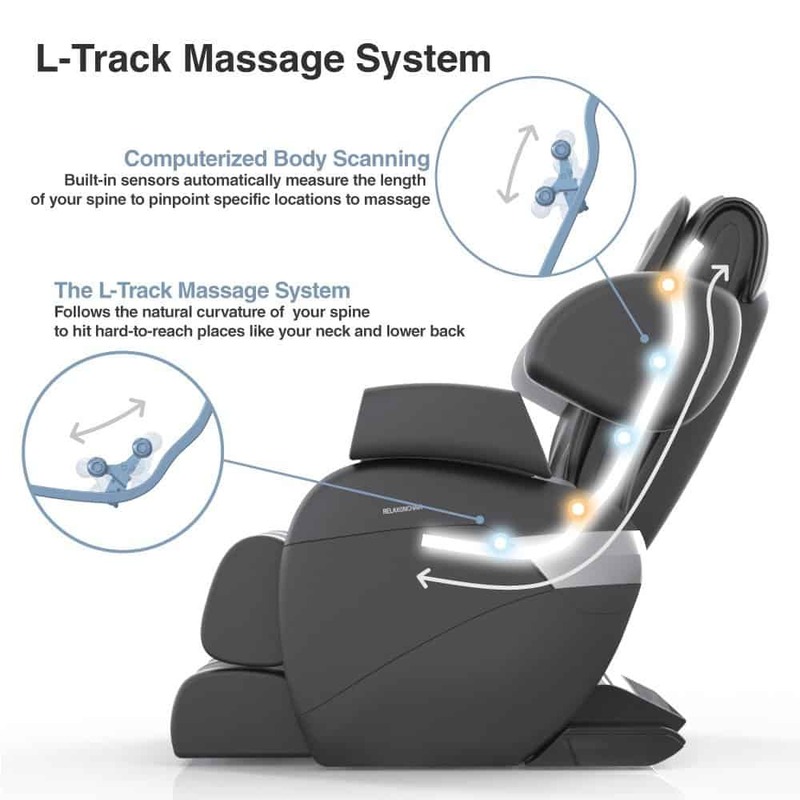 The Buttlock L-Tracking Massage System is an exceptional feature found only in RELAXONCHAIR products. It gives special attention to lower back and pelvic muscles. It has proven to be very therapeutic for sciatica patients. The lumbar back heater relieves the tension from the tight aching back muscles and relaxes them. It increases the blood circulation keeping the muscles healthy and strong. The components of the massage chair have been thoroughly tested for quality before making it available in the market. 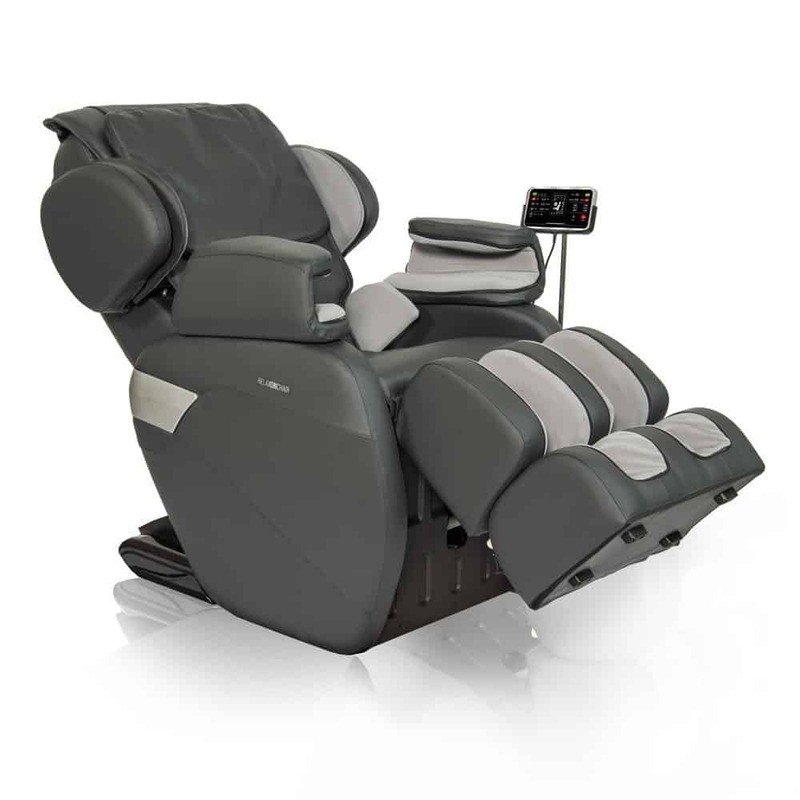 Most high-end massage chairs demand twice the price for the features that RELAXONCHAIR makes available in their product. Therefore, you can surely depend on the quality for the price factor. 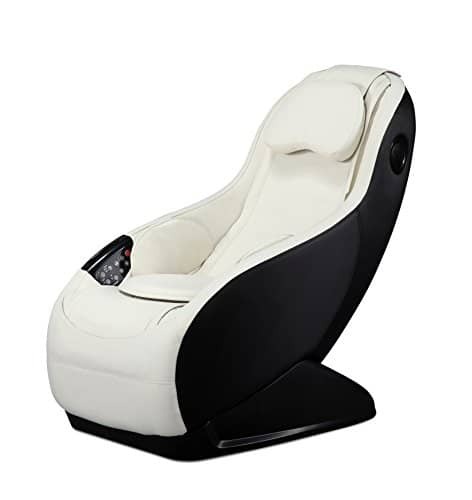 The remote control makes operating the massage chair easy with its handy design and visually informative display. The massage chair makes loud clicking sounds whenever it changes a massage technique or adjusts the airbags, while using one of the four automatic programs. The remote also makes a loud beeping sound when operated. The massage chair is considerable large by size; it measures approximately 19” when upright and more so when stretched. So, placing it in a small room cannot be recommended. The foot rollers can prove to be a bit intense on the sensitivity of your soles. Therefore, you might need to take extra steps like putting a folded towel under your feet or wearing socks. 93% of the customers loved what they bought. The product works as advertised and is one of the best massage products available. The only major downsides to it are space and noise related. The massage chair promises a full body massage with Shiatsu and zero gravity treatment and lives up to it. The packaging and delivery of the product is top notch and damage free. The unpacking and assembling is very easy and does not need tools. This massage chair is worth every penny you spend on it. 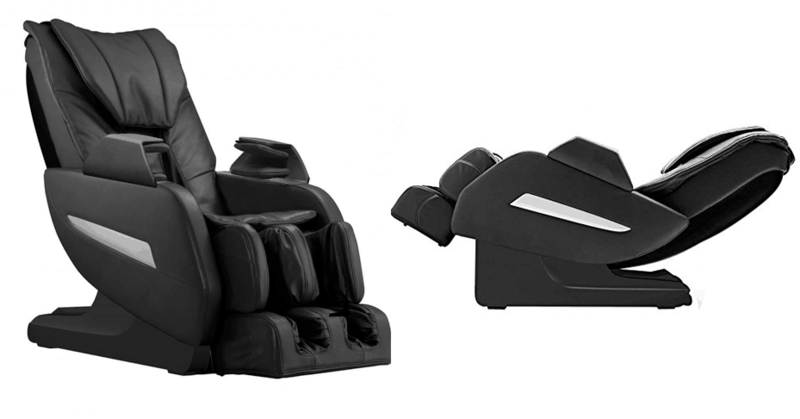 Compared to most massage chairs, the RELAXONCHAIR has more features and better operations. It is a great investment for anyone who is looking for a regular massage, and there is certainly no disappointment in it. If you have a flexible budget, this product is definitely up for grabs. Thus, if you are convinced by the review, go ahead and buy one for yourself. Good luck! If you still need more massage chair options, cast a glance here https://homesthetics.net/best-massage-chair/ !